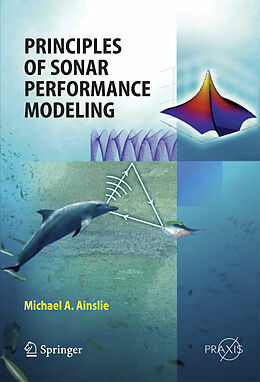 This book provides a complete and modern treatment of sonar performance modeling. It demonstrates how sonar systems and methodology are used for a variety of sensing, communications and deterrence systems and by a number of industries and end-users. Sonar performance modelling (SPM) is concerned with the prediction of quantitative measures of sonar performance, such as probability of detection. It is a multi-disciplinary subject, requiring knowledge and expertise in the disparate fields of underwater acoustics, acoustical oceanography, sonar signal processing and statistical detection theory. No books have been published on this subject, however, since the 3 rd edition of Urick&apos;s classic work 25 years ago and so Dr Ainslie&apos;s book will fill a much-needed gap in the market.  Currently, up-to-date information can only be found, in different forms and often with conflicting information, in various journals, conference and textbook publications. Dr Michael Ainslie is eminently qualified to write this unique book. He has worked on sonar performance modeling problems since 1983. He has written many peer reviewed research articles and conference papers related to sonar performance modeling, making contributions in the fields of sound propagation and detection theory. Introduction Essential Background The Sonar Equations Sonar Oceanography Underwater Acoustics (I): theory Sonar Signal Processing Statistical Detection Theory Underwater Acoustics (II): sources and scatterers of sound Underwater Acoustics (III): propagation effects Sonar Characteristics The Sonar Equations Revisited The Future of Sonar Performance Modelling Appendix 1: Special functions and mathematical operations Appendix 2: Units and nomenclature Appendix 3: Fish and their swim bladders.